Buying a new car is very exciting! You may even already have your dream car picked out, down to the color and the interior. But have you considered the price of your car? Budget is very important because you want something that’s affordable. Did you know that car prices constantly change? In fact, the best time to buy a car is at the end of the year. So, if you want to buy your dream car and get a great deal, then the end of the year is the best time to do so. Why the End of the Year? October through December is the best time to purchase a new car. Most car dealerships have sales quotas that they’re trying to meet before the year ends. This usually means that you can get a better deal than if you were shopping at another time of the year. You could be the one sale that determines if a salesperson hits their sales goal. Most car dealerships want to move as much of last year’s inventory off their lot as they can. This is so that they can make room for newer models. This usually means that you can get some incredible discounts on older model cars. You could buy a 2017 model and still get a great deal! If you want an even bigger discount, then you cann go to a dealership on New Year’s Eve. TrueCar talks about the data that shows why New Year’s Eve is a great time to buy a new car. The data shows you can save about 8.3% off the sales price of a new car from a dealership on New Year’s Eve. Why? Because the salesperson is potentially facing having to meet quarterly, monthly, and yearly goals. Because of this, they might be more willing to offer you a discount. If the car you want to purchase costs around $50,000, you could easily save upwards of $4,150 on New Year’s Eve. I can’t wait until the end of the year; can I still get a good deal? If you can’t wait until the end of the year to buy a new car, your best bet is the end of a month. You might not be saving as much money as you would if you could wait, but the savings can still be drastic. There are even more ways to save money on a new car. For example, you can save more money if you buy a car on a Monday or a Wednesday. Memorial Day is another great time to buy a car. 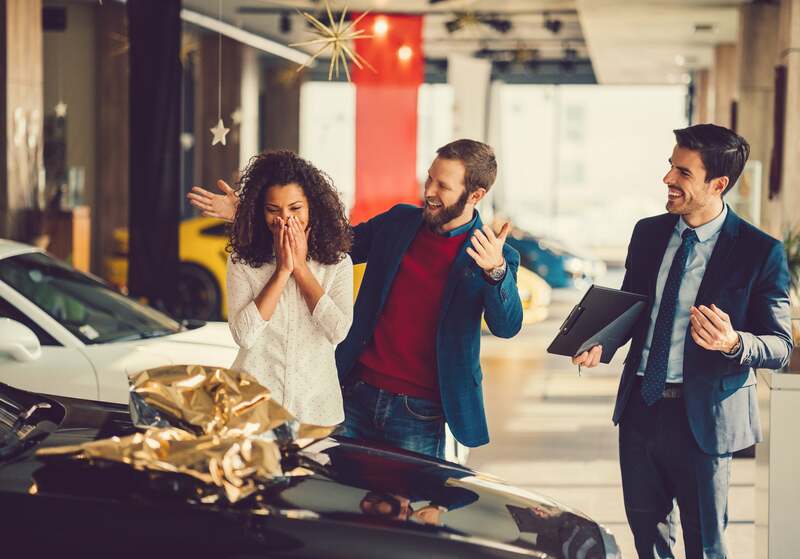 Purchasing a new car can be a lot of fun. If you want to buy a new car and can wait until the end of the year, then you could save more money. If you can wait until New Year’s Eve, the savings could be even bigger! One thing to keep in mind though is that even though discounts are great, you’ll want to make sure you make and stick to a budget. Even if the discounts are tempting, you still want to make sure that you’re able to afford your payments. Finally, remember that to get a better interest rate and save money, you’ll want your credit score to be in good shape. Sign up with credit.com today to get two free credit scores that are updated every 14 days.